Real estate has always been and always will be fertile ground for aspiring entrepreneurs that are willing to take calculated risks. The biggest downside of real estate speculation is the unpredictable nature of the industry. If you want to make predictable money from real estate, becoming a property inspector is a great way to profit during the good times and the bad. If they know their stuff, property inspectors can make a mint and be their own boss at the same time. 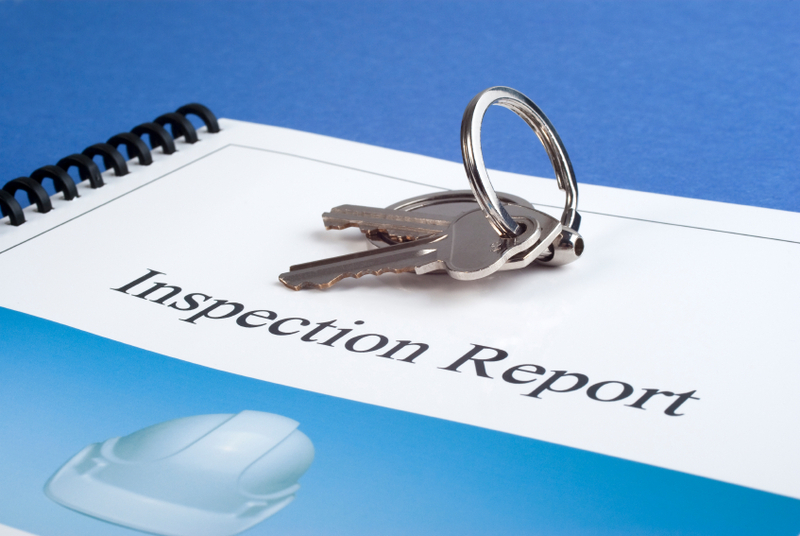 At the outset, it’s important to pick a home inspection specialty to avoid complicated things. For instance, you could decide to focus on either residential or commercial properties to start. Furthermore, one could become an expert in a particular type of property inspection such as fire damage assessments or mold detection. For beginners, starting with generalized, surface-level home or business real estate inspections is a good way to get your foot in the door. You can always narrow your focus later on as you see fit. To make real money from inspecting property, you must fully comprehend the ins and outs of commonly accepted inspection criteria. More importantly, knowing local building codes and zoning regulations like the back of your hand is a must. If you already have a background in construction or real estate, you’re off to a good start. It’s likely that you can sign up for property inspection classes at a nearby community college or vocational school. Have your local chapter of the American Home Inspectors Training Institute suggest an appropriate course of instruction for your desired specialty. Most states require property inspectors to become certified and licensed. Contact the American Society of Home Inspectors or the National Association of Home Inspectors to get more information on your state’s specific licensing requirements. You’ll need to take a test and pay licensing fees to become officially certified. While some states like Florida and Colorado don’t require licensing, it’s still a good idea insofar as building credibility is concerned. All things being equal, future potential clients will prefer to work with a licensed inspector. Before launching your new enterprise, you’ll need to sort out a few bureaucratic details first. For starters, it’s always wise to decide on a business structure such as an LLC or other corporate entity early on to organize your affairs. A business license for your state will be necessary for tax purposes. Get adequate liability insurance to protect yourself from any legal actions that might crop up in the future. Have an attorney or real estate professional advise you on these matters. There are essentially two ways to start your property inspection business: the franchise route or the independent, DIY path. Franchises like A Buyer’s Choice Home Inspections and AmeriSpec Inspection Services cost more upfront but handle details like IT infrastructure and marketing for you. If you’d rather take the autonomous route, you should definitely join one or more of the aforementioned trade organizations like ASHI or NAHI to assist you in getting your fledgling home inspection business off of the ground. There are a number of ways that you can promote your new home inspection outfit. It’s best to start small and build up a hyper-local reputation for quality work. With a solid grassroots foundation in place, you can graduate from word-of-mouth advertising to digital promotion. Use social media portals like Google+. Facebook, Twitter and Yelp to put yourself on the map. Network with well-known local real estate agents, mortgage officers and contractors to get your foot in the door with prospective clients. Every little bit helps during the first few months. Once you’ve established a name for yourself in your local market, it’s a good idea to expand your reach by branching out into more specialized inspection niches. Use ASHI Standards of Practice to guide your efforts insofar as refining your skill set is concerned. There’s a wide array of specialty inspections for things like radon, asbestos, lead paint, insect damage, septic problems and indoor air quality that you can capitalize on to give yourself an edge. Already a $2 billion a year business, the real estate inspection industry in the United States is projected to expand 12% between now and 2022 according to the Bureau of Labor Statistics. As such, there’s plenty of growth potential for inspectors that know how to roll with the punches and adapt to shifting trends. Make diversification into new areas a primary focus of your business. From mold inspections to renovation consulting, there’s no shortage of opportunities for expansion if you know where to look.